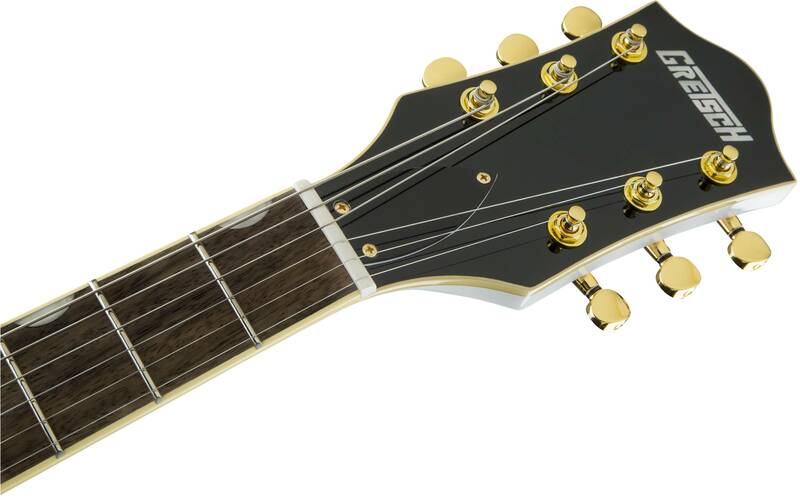 Offering excellent playability, the 12”-radius laurel fingerboard hosts 22 medium jumbo frets and NeoClassic™ thumbnail inlays. 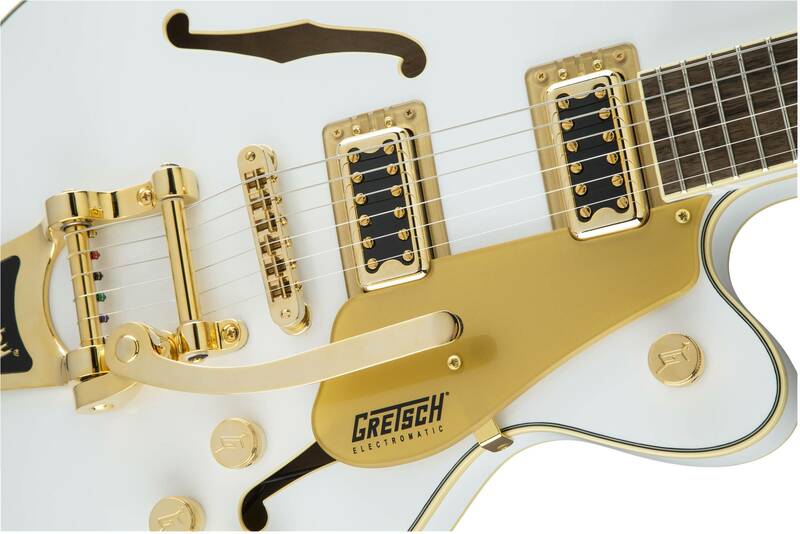 Its dual Black Top Filter’Tron™ humbucking pickups deliver bold, dynamic and articulate tone with enhanced sonic punch. 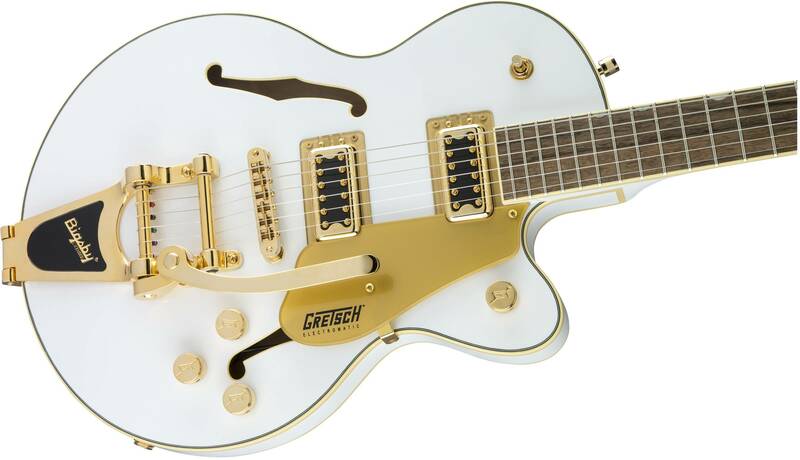 This limited edition offering boasts stage-stealing style with its Snow Crest White finish and gleaming gold hardware, including the Bigsby® B70 vibrato tailpiece, anchored Adjusto-Matic™ bridge and G-arrow knobs.